Home General News A Swish Scout Hall!! 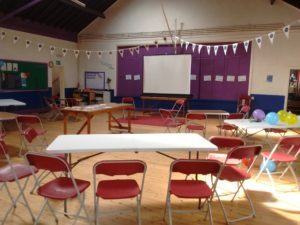 The WHIMS Shed-lads set up the infrastructure in the Eskmouth Scout Hall for tomorrow’s Shared Experience event bringing together our Whitby Area Sheds + other North Yorkshire Sheds largely by word of mouth. We used some red carpet tiles not yet laid in Shed our to make an attractive presentation floor space fit for the Oscars. Wishing you all the best for tomorrow and your wonderful event! Please pass on my congratulations and best wishes to all. It is incredibly impressive to hear all that is happening in Yorkshire and inspiring to see where keeping an open mind and having the courage to take calculated risks can lead.